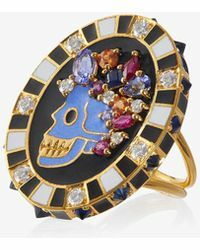 Toronto-born designer Holly Dyment is known for her eclectic yet exquisite fine jewelry collections, produced by expert artisans in Jaipur, India's center of jewelry production. 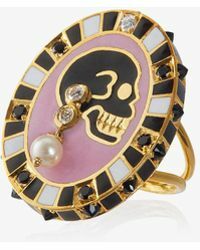 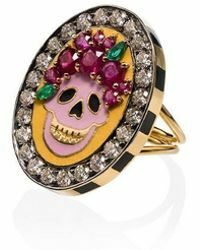 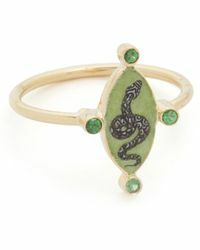 With a background in fine art and interior decoration, Dyment applies her expert artistic vision across a range of diamond and gemstone jewelry, with each design carefully considered for its rich colors and textures. 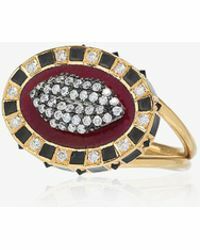 Bring a bold stylistic twist to your closet with this outstanding range of Holly Dyment rings. 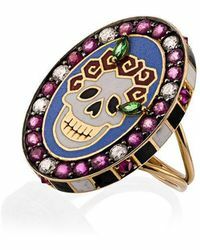 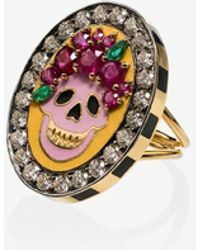 Expect chunky cocktail rings and stackable bands adorned with quirky, talismanic symbols, peppered with white diamonds and colorful gemstones for a riotous texture-packed finish.